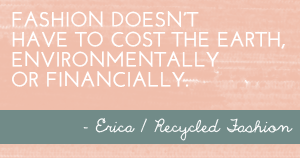 Lately, I've seen a increase in requests for freelance writers, asking that I publish their guest blog posts on Recycled Fashion. 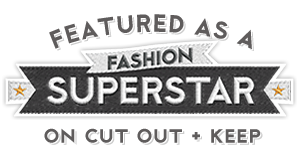 Whilst this is a good thing to see Recycled Fashion gaining momentum on the world wide web, I am careful in the topics and links I choose to publish. 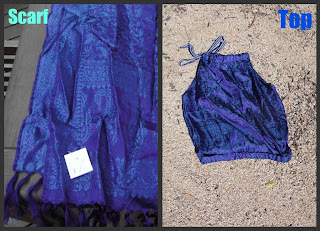 When Aditi Jain (bio below) suggested a blog post relating to recycling a sari, I could not say no. I am a big fan of sari material, with its shine, colour, sequins, and threadwork, it has to be one of the worlds most beautiful fabrics to wear, or to redesign into something different. 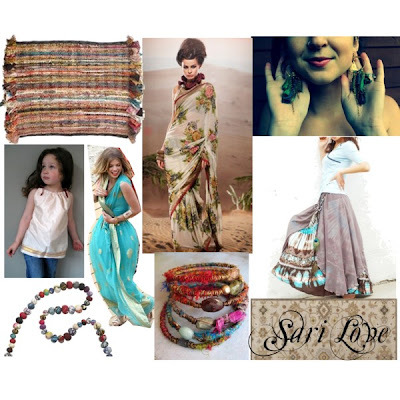 You may remember this inspirational sari polyvore mood board I put together for to second-hand sari silk for re-creation ideas..
Saris are so beautiful that it seems a shame to throw them out, even when they are well past their best. Your well-worn sari probably holds lots of lovely memories that you are reluctant to let go. Fortunately, you don't have to! There are lots of ways to re-purpose your sari into other things instead of tossing it away. Here are some ideas for recycling a sari so that it can continue enriching your life with its beauty. Upcycling - giving a new lease of life to old objects by repurposing them - is becoming extremely fashionable, thanks to a growing environmental consciousness that rejects the modern tendency to throw out items as soon as they start to look a little worn. Stay ahead of the trend by using these ideas to upcycle your sari into cool accessories and home furnishings - you will soon be the envy of your friends. Scarf - Make the most of bright colors and bold patterns on your old sari to create beautiful scarves for yourself, your friends and your family. One sari can be cut into wide strips and edged to make several scarves. 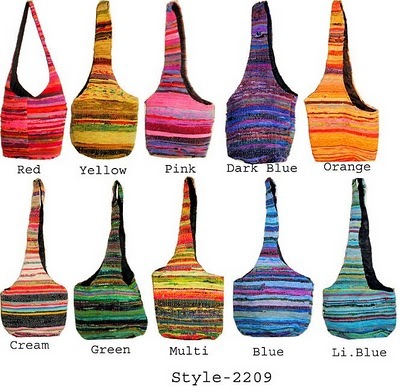 Jhola Bags - Use your well-worn sari to create a useful jhola bag. Choose a sari made of strong material such as cotton. Cut a large piece of material to form the body of the bag. Stitch up the sides of the bag and add a long strap that comfortably loops over the shoulder. If you're skilled with a sewing machine, you can add a zipper and pockets to create a multi-purpose bag that is perfect for carrying everything you need. Ipad Sleeve - Protect your iPad from scratches with a sleeve made from your favorite silk sari. Simply cut a piece of material that is slightly wider and just over twice as long as your iPad, fold it over and neatly stitch the sides into seams. Add some buttons or a drawstring fastening at the open end to keep your iPad secured in place. Bracelet - You can repurpose scraps of silk from your recycled sari into a beautiful bracelet. Create very thin ribbons of silk from your old sari and wrap them around a piece of copper wire to give them shape. The ends of the wire can be fashioned into a catch that opens to fit the bracelet snugly onto your wrist. Hair Ornament - A boring hair clip or grip can be turned into a beautiful feature by the addition of a flower fashioned from colorful sari fabric. Simply cut three circles of material from your synthetic silk sari, each one slightly smaller than the last. Then, using a pair of scissors, cut a few small slits pointing towards the center of each circle to separate the petals. Your slits should extend only about a third of the distance to the center of the circle. Hold each circle two inches above the flame of a candle to melt the silk so that it crinkles like a flower petal. Do this for each petal, being careful not to let the material burn. Place the three layers on top of each other and thread a hair pin or a piece of wire through the center of the flower. 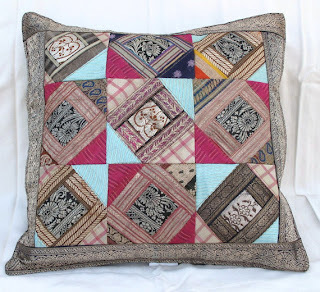 Cushion Covers - Old saris make gorgeous cushion covers. You can use the borders of your sari to make piping for each cover. Curtains - Get more use out of your old saris by using them as curtains in your home. Lighter saris make perfect summer curtains that gently float in the breeze, while heavier ones are excellent at blocking out light and keeping heat in your home. Guest post contributed by Aditi Jain, on behalf of www.Sareez.com. Aditi is a freelance fashion writer. She's also studying fashion design and her articles appear on various fashion blogs. Gorgeous cushion cover, and I love the idea of a sari as a curtain. 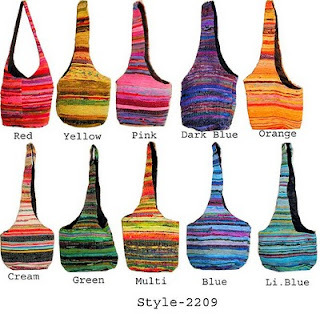 I love the stylish handbags!!! !